White Unicorn Earrings. 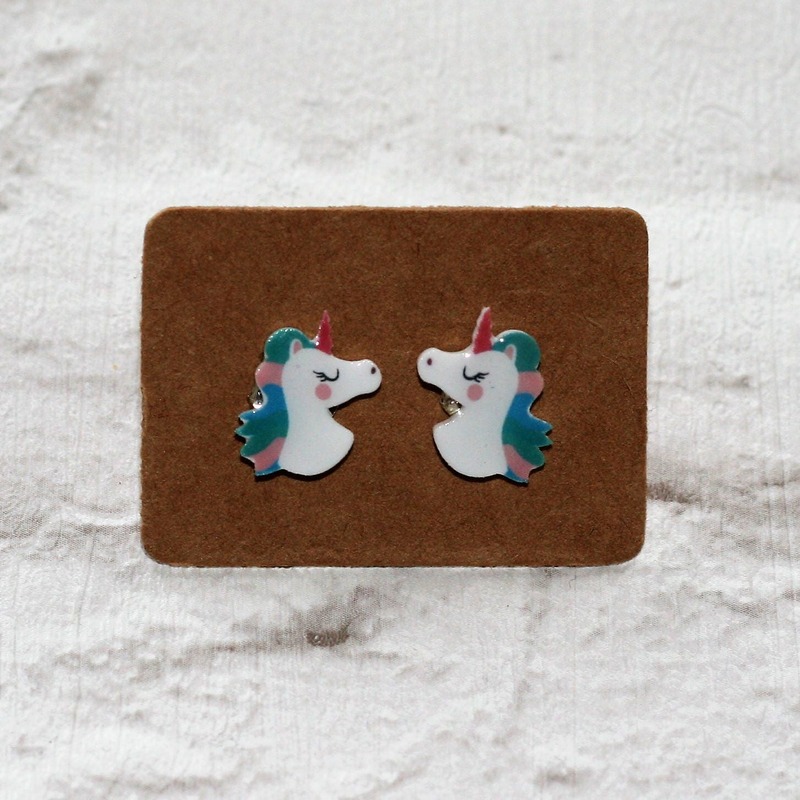 These earrings have been made by adding little resin unicorns to silver plated studs. Bought these for my unicorn crazy daughter...she loves them!